The ECO Strong Windproof Golf Umbrella is manufactured from recycled plastics and so has a good carbon footprint. The vented overlapping double canopy is made from a high quality eco-friendly fabric. 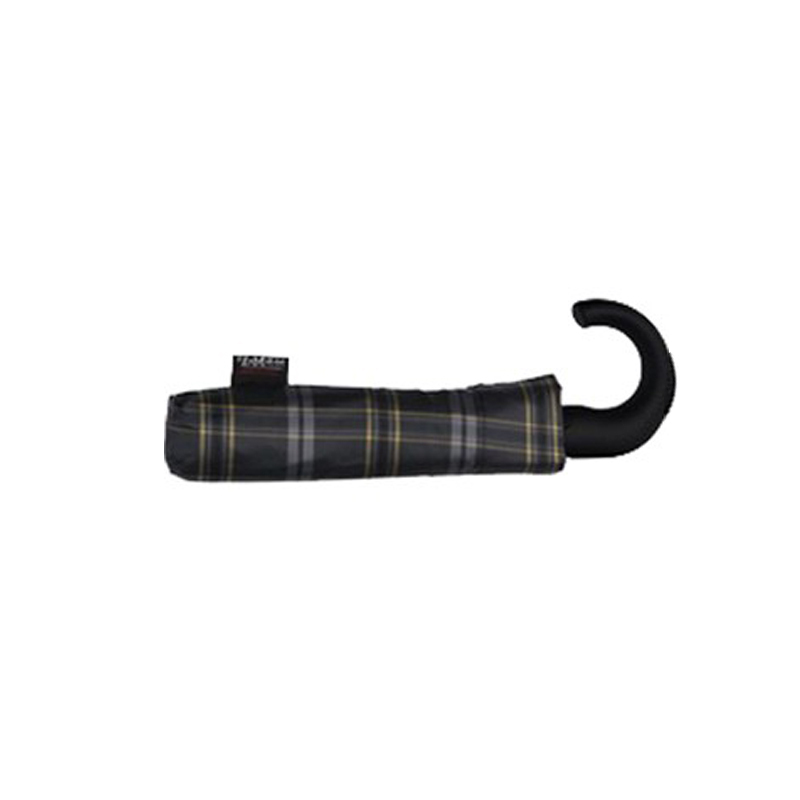 Purchase one of these incredibly strong golfing umbrellas and you’ll be doing your bit for the environment but without compromising on quality. 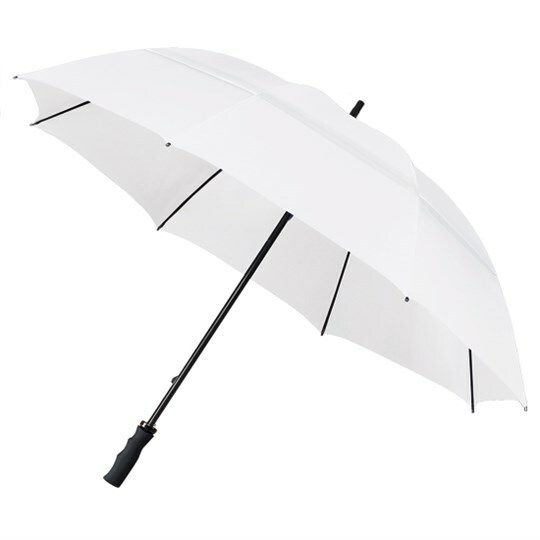 The ECO Strong Windproof Golf Umbrella has a push button auto-open mechanism for your convenience and ease of use. Available in multiple colours – black, navy, red, blue and white. 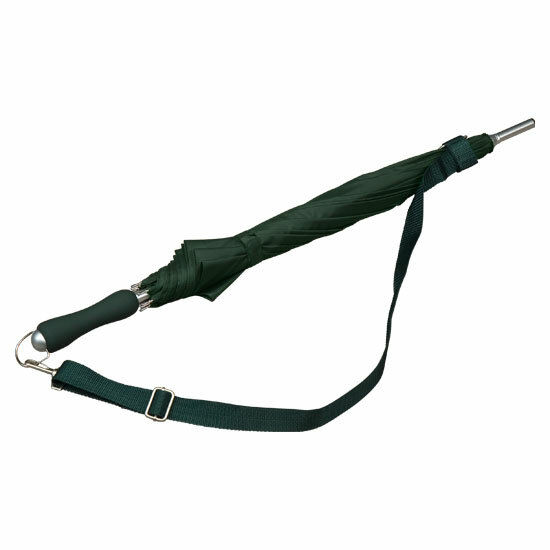 The length of the umbrella is 90cm long from handle to tip and the canopy span is 120cm wide. It has a black rubber finished handle, black fibreglass shaft and flexible fibreglass frame. If you’re looking for a big umbrella, a strong umbrella, a windproof golf umbrella. 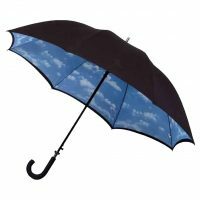 If you care for the environment then the eco-friendly ECO strong windproof golf umbrella really is one of the best quality golf umbrellas on the market. We have no doubt you’ll be impressed by the quality. 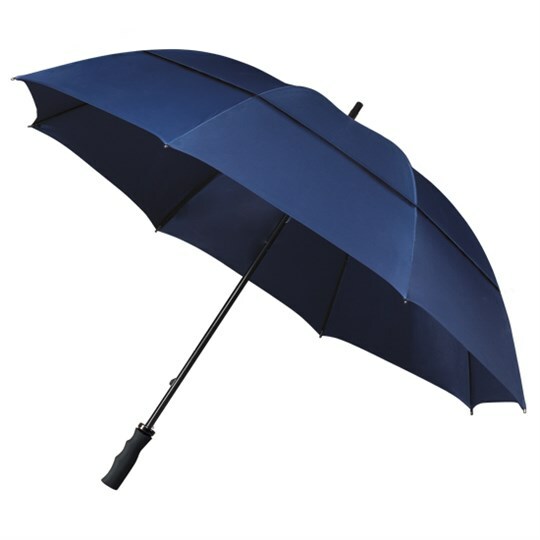 This is one of our best selling golf umbrellas and we consistently receive good feedback from our customers about this one. 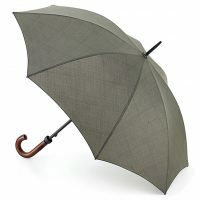 Did this brolly not make your basket? We have a wide range of umbrellas here! Impressed! Have tested this brolly out on the course in very strong winds. Its big and strong and withstood the test. It now takes pride of place in the back of my car. Hopefully will last a lot longer than some of the other brollies I’ve bought over the years.